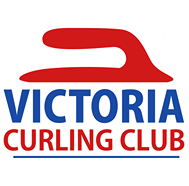 The Victoria Curling Club wouldn't be the Victoria Curling Club, without the hard work and dedication of our volunteers. Everything from bonspiel and league organizing, to working the occasional shift in our pro-shop, to lending a helping hand doing tasks that otherwise would be placed on the back-burner, our club is built on the shoulders of our volunteer force. And we need volunteers more than ever! As we look to the future of the Club, it is "all hands on deck" - if you have a skill and some time to donate for the betterment of the building, we are undertaking numerous projects that require your expertise. If you are interested in lending a hand, or resources, we need you - please contact the office and we will match you up with the right opportunity. Our biggest need at the moment is for actual materials at or near cost; or in exchange for sponsorship recognition. It's a big ask, but it's one that is made with the future of the club in front of mind...it's time to bring our building up to the high standards of our ice - and truly show off our 65+ years' of history!